20 Beautiful Kitchens Moms Would Love! Most of the time, mothers are the ones who cook and prepare food. And other members of the family are also starting to join in; there are dads who can cook or sisters or brothers even. But then again, we would agree that most moms would do the cooking. That is why most moms consider the kitchen is their territory. 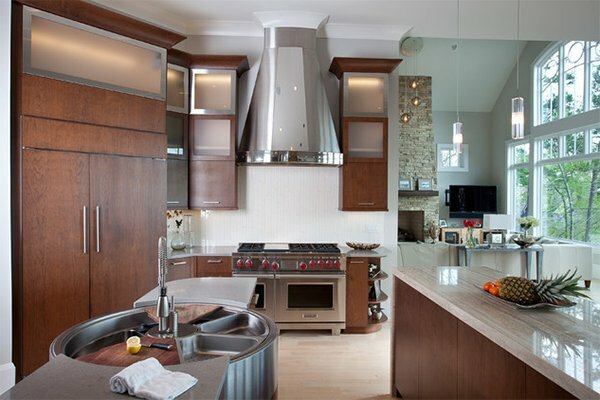 And because it is their territory, it is important that the kitchen will have a beautiful and outstanding design. Aside from the aesthetics, it has to be functional too. We are sure you have seen many kitchen designs already and might even have fall in love with one which you want for your kitchen. I am also sure that you would like to give your mom her dream kitchen too! 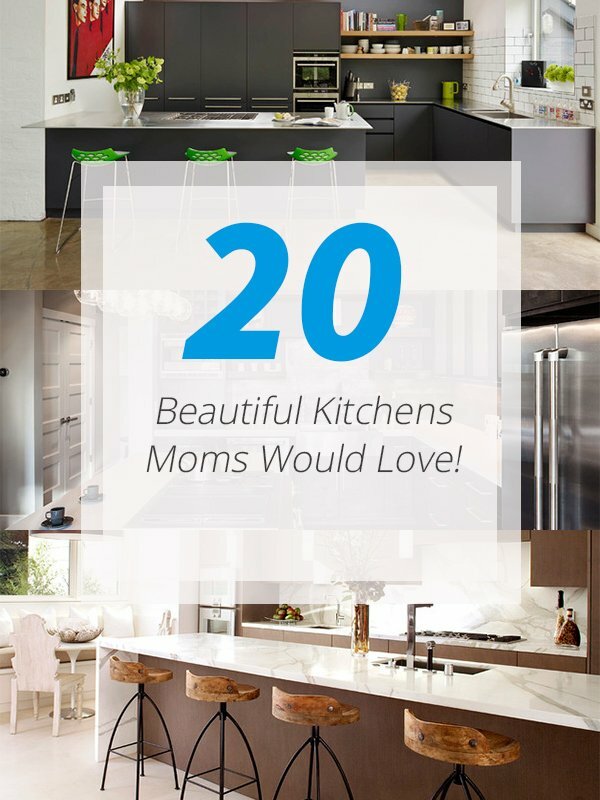 So, since we are celebrating Mother’s Day today around the globe, here is a list of beautiful kitchens that your mothers might love! 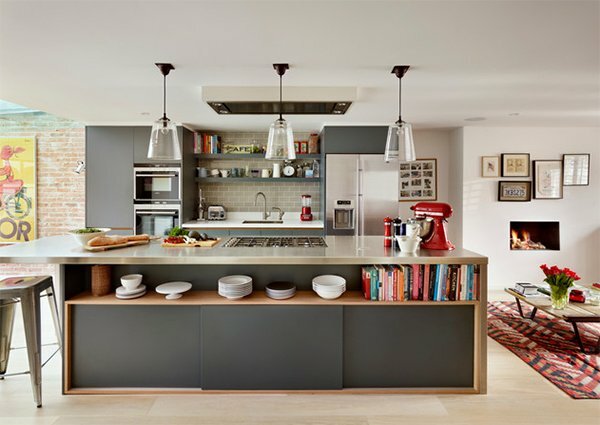 This matt lacquer kitchen in dark grey with stainless steel work surface would be a lovely space for Mom to cook in! I’d love to watch her cook while sitting on those green stools. White and stainless steel looked amazing on this one especially when that wooden dining set was added. 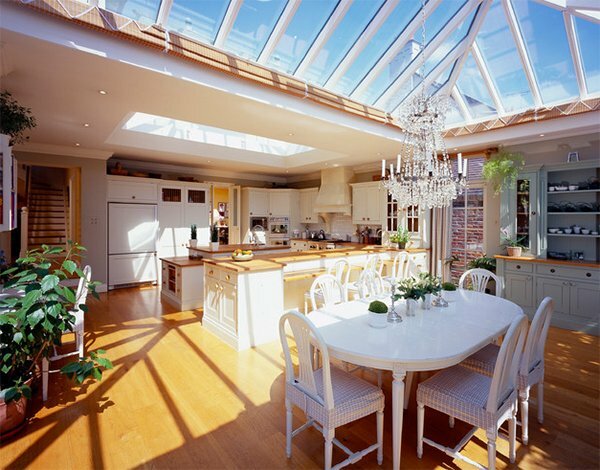 It would be nice to get that outdoor feel while cooking with a roof like this! 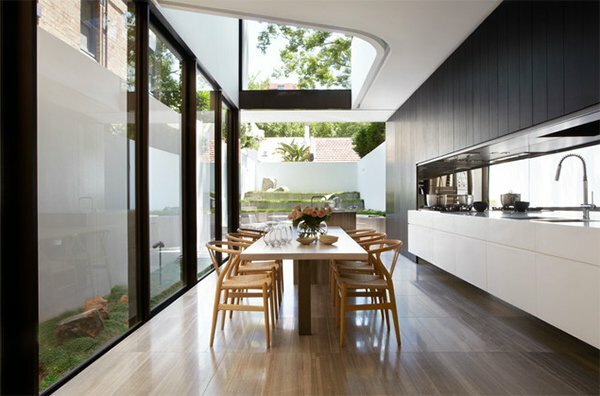 This dining/kitchen area shows the view to the rear courtyard of the house. Lovely! 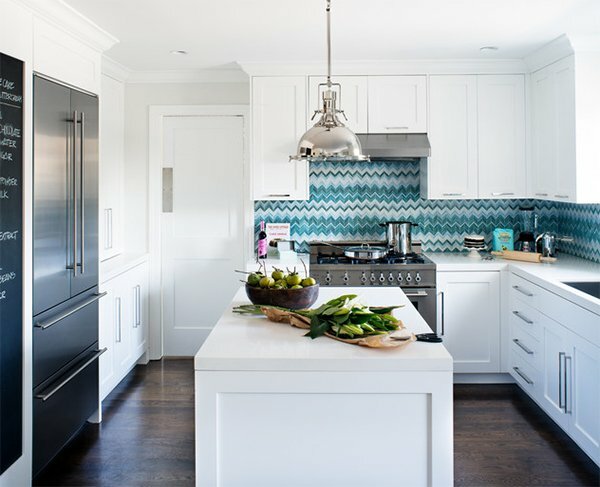 Beautiful chevron backsplash! I so love the look of this one! 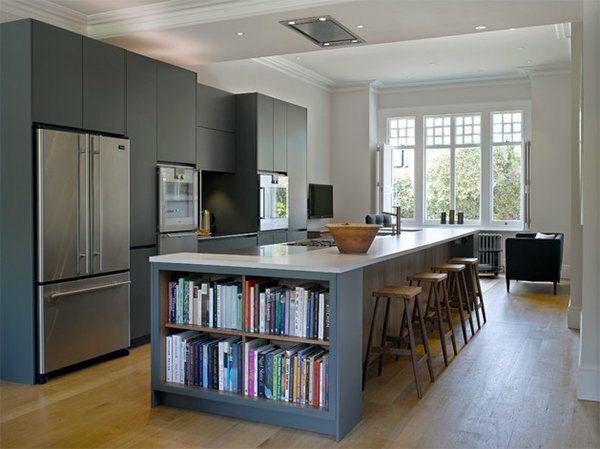 It isn’t just the grey kitchen cabinets that looked nice in this one but also the windows as well as the bookcase! 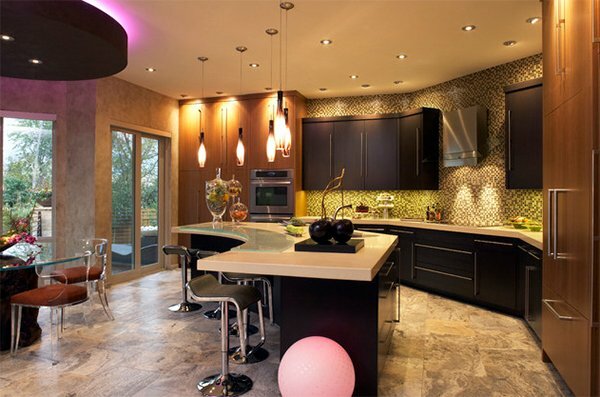 Any mom would love to have a kitchen like this one! I just love the look combining modern design with brick walls. 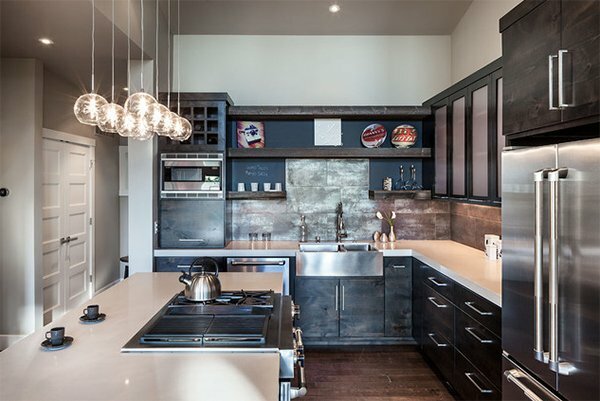 There is a rustic touch to this contemporary kitchen that looks very appealing! Love all the materials used here even in the backsplash! 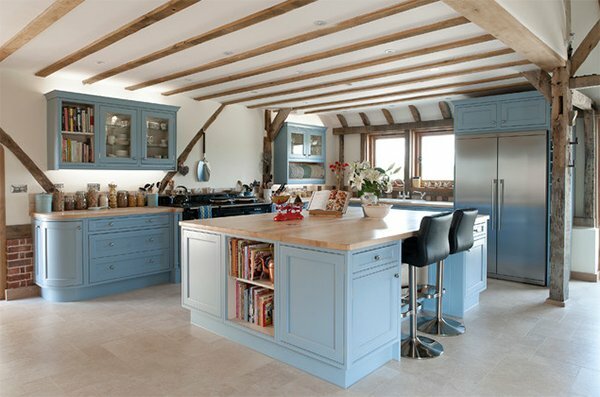 A traditional kitchen isn’t boring at all! With a view like that, who wouldn’t be inspired to work in the kitchen? 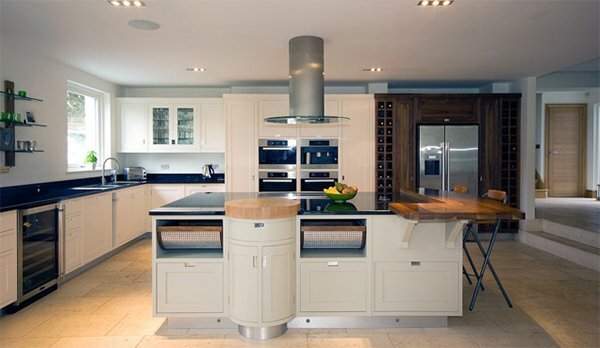 Love the sophistication from this kitchen! Even the lights are full of drama! 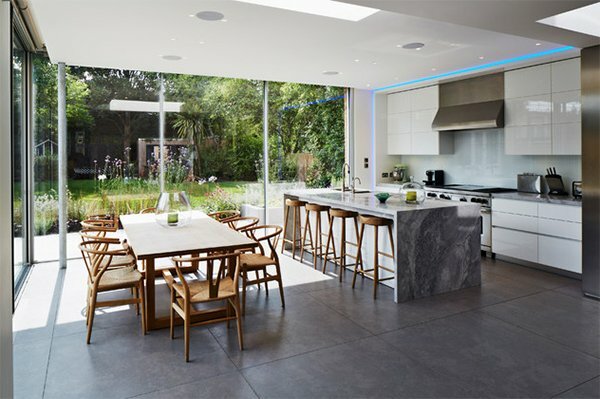 An open kitchen like this will let you feel fresh air while cooking. Any mom would love this! 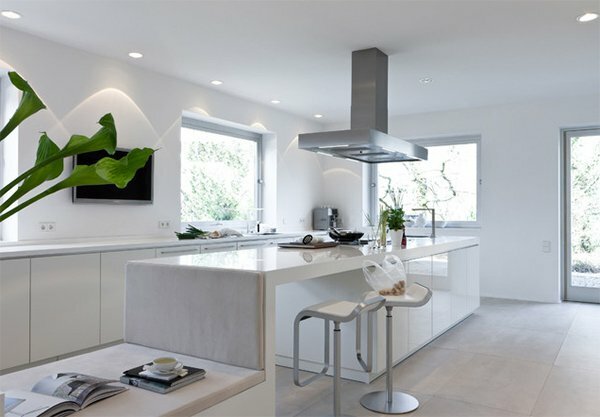 If there is one color that a mother wants for a kitchen, it would be white! 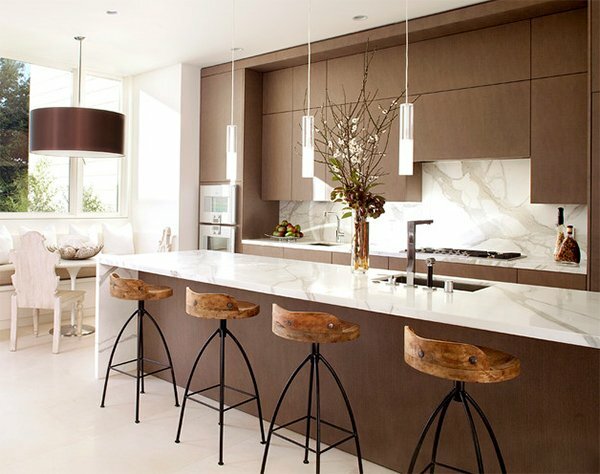 Love the natural feel in this kitchen because of the materials it used. Charming farmhouse kitchen in white! 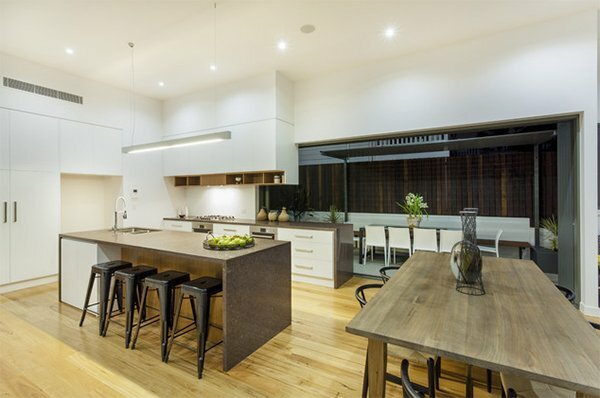 What I love here are the counter height chairs and the industrial lighting. 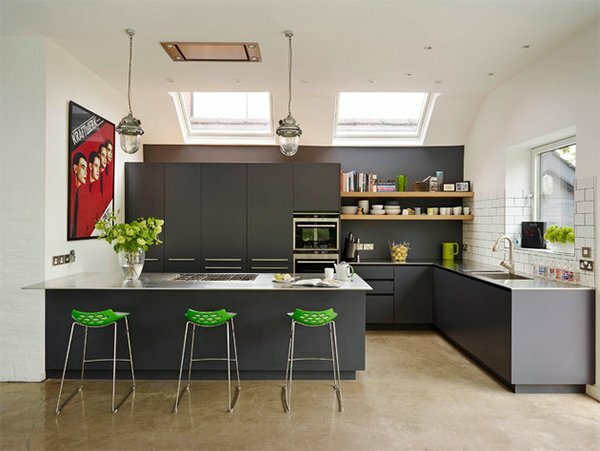 If your mom loves trendy contemporary kitchens, then this is the perfect one for her. A modern kitchen with equipment like this will make my mom very happy indeed! 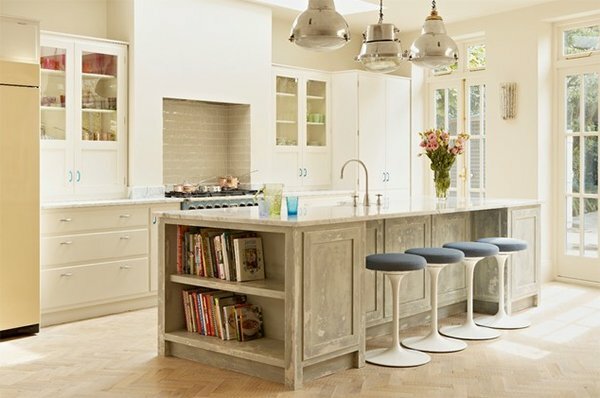 That bespoke kitchen island caught my attention! Just beautiful! If a barn is turned into a home, this would be the kitchen! Pretty choice of colors indeed. 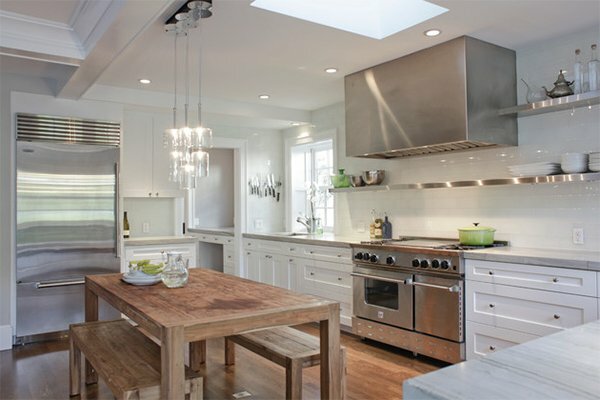 Lovely kitchens, right? These are all stunning indeed! 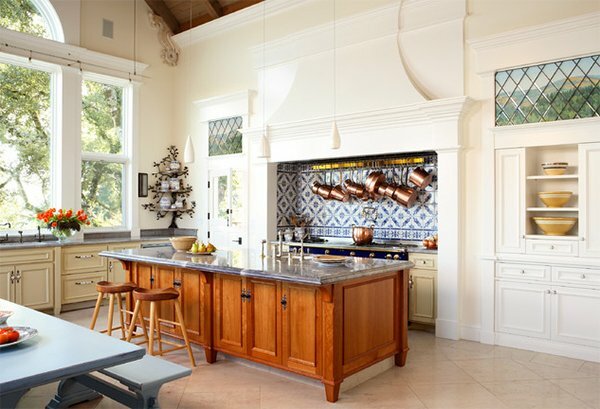 Did you find your dream kitchen in this list? 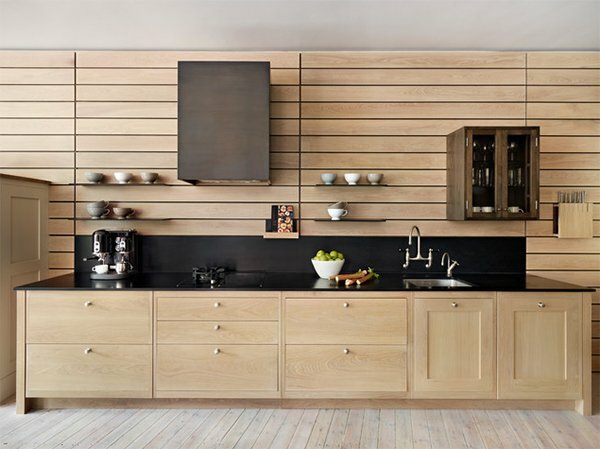 If not, we have so many kitchen designs round-up for you to check out. For sure, you will find what you are looking for. In this list, can you tell me which your favorite is? Or which one would be perfect for Mom?